Tonerush (Sunchasair) AKA George Kranas, a greek native, was born on Dec 1st 1984 .Musically gifted, from an early age, George learned the guitar as a child. At the tender age of 17 he started producing EDM and mainly trance and progressive styles. Eventually after many years of learning mixing and synthesis techniques his hard work paid off! In 2009 he had his first release on 'Proxoz Recordings' under the 'Sunchasair' alias which also was his first and last release under that name. In 2010 the 'Tonerush' monikor was born and he has not looked back since! 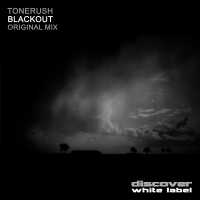 Having had productions signed to many established labels out there like Blackhole Recordings, Neuroscience and past DJ support from Alex Morph,W&W, Dash Berlin, Sean Tyas, Aly & Fila & Christopher Lawrence plus more the 'Tonerush' name is defiinately one people are talking about!